IS VIDEO THE NEW TOOL TO EXTEND THE BRAIN OF FINANCIAL SERVICES PROFESSIONALS? In the fast-paced world of finance, bankers rely on speed and up-to-date information to provide the best possible service to their clients. With offices and branches that often span time zones and countries, making the right information available to financial services employees at the moment they need it can be a challenge. Video is an ideal communications medium for creating and delivering timely information to large and diverse groups of people. The combination of moving images and audio enables content creators to clearly communicate complex ideas in a relatively short amount of time. A single video file ensures that all employees are receiving the exact same information from the exact same source, cutting down on inconsistencies in execution. Most of all, video is engaging. It holds the viewer’s attention and creates face-to-face connections without the need for travel investments or lengthy meetings. Financial services organisations can deploy video in a wide range of scenarios to extend the brains of their employees and to make them more knowledgeable and effective in their daily interactions. Hearing directly from a member of service management is a good way to inspire and engage employees, familiarising them with the company’s culture, keeping them focused on the company’s goals and, last but not least, making them feel involved and connected to senior leadership. Thanks to enterprise video technology, events can be streamed live to any desktop or mobile device and most importantly, financial services organisations can ensure the security of their communications. Webcasts can also be recorded and made available on-demand to access at a time that is convenient to employees who may have been unable to watch the live stream. Whether updating financial services employees on changing SEC regulations or informing them of the latest incentives and offerings, video is a perfect way to connect employees with the information they need as soon as it becomes available. Changing financial regulations can often be complex and nuanced in their execution. Video provides a medium that is clear and concise as well as immediate, with content asked through the desktop or mobile devices. Creating, uploading and sharing video through end-to-end enterprise video solutions ensures swift and secure distribution so your team can stay fully informed and connected wherever they are. A 30-second video can provide more insight than an email that takes an hour to write. Working in a complex and challenging industry, financial services professionals quickly build valuable skills and experience. With enterprise video, this knowledge can be shared and transferred amongst the wider team and even retained within the business when someone leaves for pastures new. Mobile technology has become an integral part of our daily lives. The vast majority of the workforce use a mobile device, whether company owned or their own personal device. Mobile technology enables those in the financial services industry to keep up-to-date with the latest news, market trends and information on compliance from any location, at any time. It is now so easy, and natural, for people to catch up on their commute into work or after hours to make sure they are prepared and on top of situations they are dealing with. Bankers can build a library of on-demand client-facing video about tax, investment, retirement, and estate-planning but also videos that can address simple questions that clients might have without the need to meet the banker in person, leaving the banker with more time to focus on other issues. This way, video can extend the reach of the banker’s knowledge. Ad-hoc videos, aimed at giving advice or insight to particular clients to suit their individual needs, can also be created. Crises arise with little or no warning and the impact of negative events is greater than ever. Barriers that used to hinder the financial industry’s acceptance of video – production and editing skill requirements, burdened legacy networks unable to support video services, security and reliability concerns restricting its use – are no longer worries thanks to the latest developments in enterprise video solutions. This same new video technology provides a ready platform for crisis communications management. Video today provides security far beyond that of a Word document, email or conference call and delivers greater impact, understanding and retention. The richness and effectiveness of a thirty-second video can replace multiple pages of memo and it cannot be stolen or reproduced. Organisations can also apply a high level of content control to ensure that video content is seen by the right audience, and that audience alone. A video platform that delivers video inside and outside the firewall, with on-premise and cloud capabilities so it is available anywhere, anytime, on any device, is highly secure because only the right people view the content on offer. If the video content is searchable, individual nuggets of information can be easily found, referenced or updated as needed. Far beyond written documents, video delivers secure communications flowing both ways, so misunderstandings are minimised and even obsolete. Video is a powerful tool. With a secure, robust enterprise video platform, financial services organisations can deliver the power of video communication to everyone across their network and extend the brain of their employees in every direction. 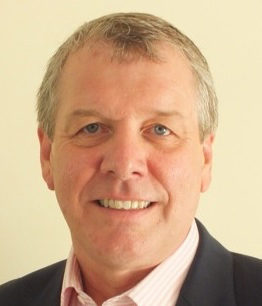 Martin Nurser joined Qumu in 2013 bringing more than 25 years of enterprise and technology industry experience with emphasis on engineered systems and cloud technologies. He is a leading expert in channel and strategic alliance development and management, go-to-market planning, as well as market segmentation and business strategy formulation.